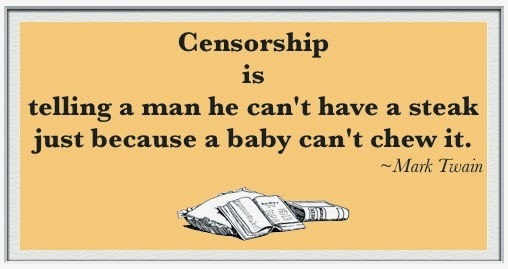 ...worthy of note or notice, important, distinguished, outstanding. As applied to children's books, notable should be thought to include books of especially commendable quality, books that exhibit venturesome creativity, and books of fiction, information, poetry and pictures for all age levels (birth through age 14) that reflect and encourage children's interests in exemplary ways. The lists for all notables (and their descriptions, as used here) are posted at the ALSC website. However, I would like to note those Canadian books that made the list, bolding the Canadian author or illustrator or publisher. Congratulations to all of you for creating outstanding work for our children. 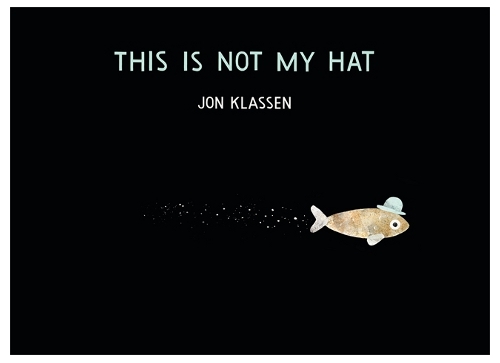 A tiny fish knows it’s wrong to steal a hat, but it fits him just right. And the big fish wants his hat back. 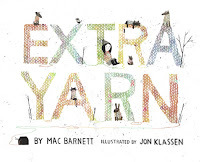 A selfish archduke threatens to halt a little girl's transformation of a colorless town and steal her box of magical yarn. In Goredd, dragons and humans live in uneasy peace. 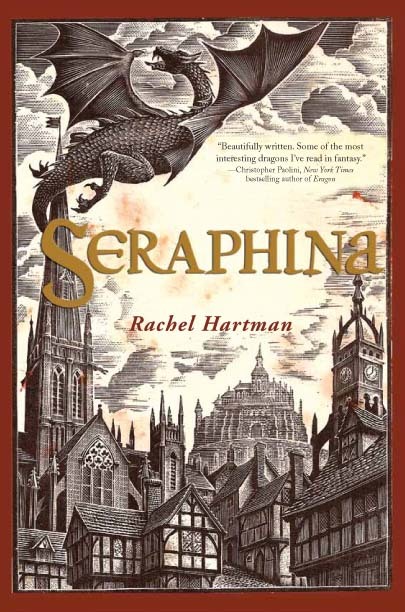 Hartman pulls Seraphina, a half-human/half-dragon teen musician, into the intrigue at court. Internally logical, suspenseful with just a hint of romance. 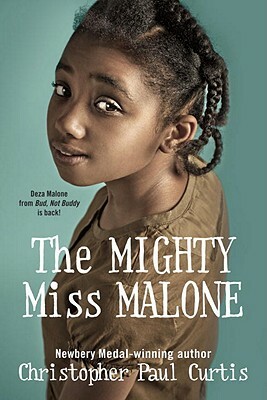 The hardships and courage of Deza Malone and her family during the Great Depression are read passionately by Bahni Turpin. 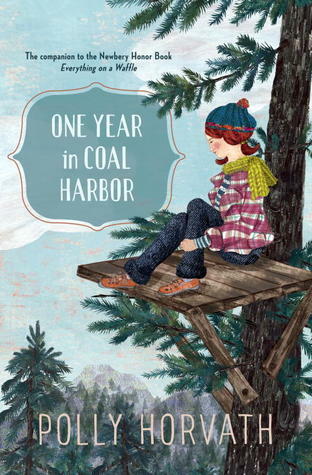 With a great deal of wit and charm, Kathleen McInerney voices Primrose Squarp's continuing story in Coal Harbor as she plays matchmaker and supports an effort to stop logging on the town mountain. During World War II in the dark "winter of hunger" in Holland, women and a girl unravel a beautiful bedspread to make socks to barter for food. Based on a poem by Marie Jacobs, this animated, poetic film leaves viewers with hope for a brighter future. 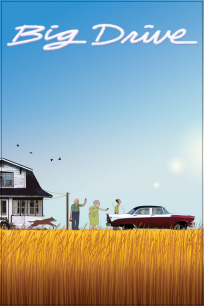 Squeezed into the back of the family car, four restless sisters find magic in a road trip across the prairie. This exuberant animated film beautifully captures the bond between sisters and the power of the imagination. 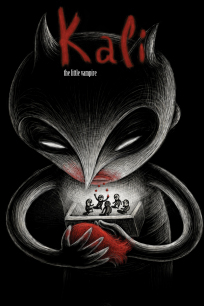 Viewers are alternately terrified and deeply moved by the plight of a little vampire who is isolated and lonely, but willing to risk life and limb to save a potential companion. Told in stark black, white and red, this animated short will linger long in memory. 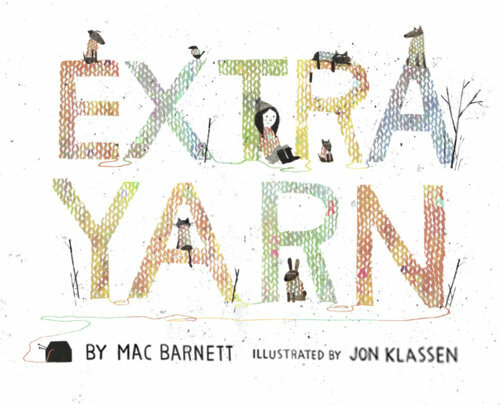 Based on Mélanie Watts' book about Scaredy Squirrel's uncertainty about the nature of friendship.